A plea deal has been reached in the case of the former commander of the 375th Air Mobility Wing at Scott Air Force Base, Illinois, who was originally facing charges including sexual assault and cruelty and maltreatment. 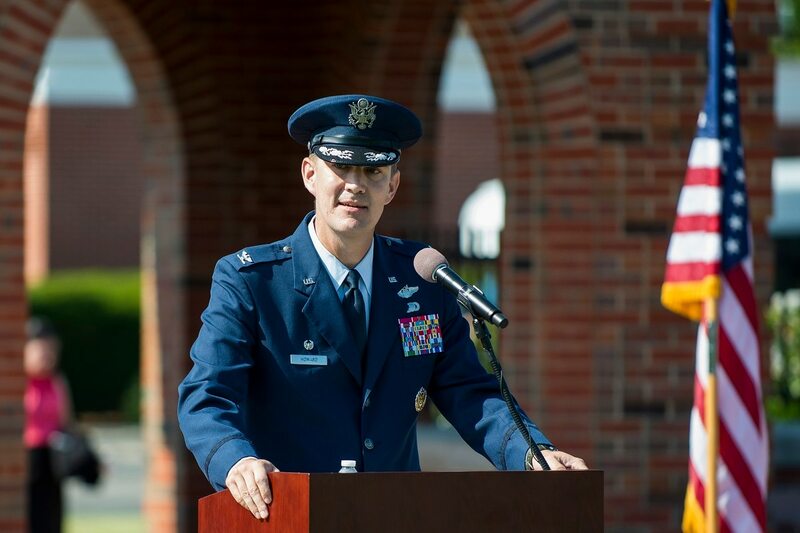 Col. John Howard, who was fired from command in December, accepted non-judicial punishments for conduct unbecoming an officer and fraternization with a junior enlisted airman, the 18th Air Force said in a Thursday news release. Howard’s attorney Richard Stevens said in his own release that the sexual assault charge was dropped, and that the defense had uncovered evidence and witnesses that refuted the allegation. Howard has submitted his paperwork to retire, Stevens said. The Air Force said that the victim did not want to participate in a court-martial proceeding against Howard. As a result, Lt. Gen. Giovanni Tuck, former commander of the 18th Air Force, accepted the pretrial agreement, which was primarily based on input provided by the victim through a written memorandum by the special victims' counsel. Howard was relieved of command Dec. 11 after five months on the job, and was under investigation by the Office of Special Investigations. In June, Howard was charged with four charges alleging multiple violations of the Uniform Code of Military Justice. They included two specifications of alleged violations of Article 93, or cruelty and maltreatment. The charge sheet alleges that Howard rubbed his groin against a female senior airman and made inappropriate comments on at least two occasions between July and September 2016, at or near Royal Air Force Mildenhall in the United Kingdom. He was also charged with two specifications of alleged violations of Article 120, or sexual assaulting the senior airman at or near Bangor, Maine, in April 2017; one specification of an alleged violation of Article 133, or conduct unbecoming an officer; and one specification of an alleged violation of Article 134, or fraternization. The Air Force said the pretrial agreement was originally reached on July 2, and appeals associated with the Article 15 NJP proceedings finished on Sept. 10. Howard was fired less than five months after assuming command of the 375th. At the time, Tuck said he relieved him after losing confidence in his leadership and ability to continue serving in command.